The free games being offered to PlayStation Plus members for October 2016 have been revealed, and you can see what they are below. Hey PS Plus members, let’s get in the Halloween spirit with this month’s free games lineup for October, 2016. First up, we have Resident Evil. What better way to get excited for the holiday and the upcoming Resident Evil VII than by going back to the start of it all? This year Capcom is celebrating the 20th anniversary of the franchise, and this remastered HD version is the perfect way to enjoy the game. So whether you’re reacquainting with old friends Chris Redfield and Jill Valentine, or meeting them for the first time, get ready to learn the secrets of the mansion that lies on the outskirts of Raccoon City. Next up is Transformers: Devastation. Drawing on the talents from the original Transformers TV series for the story and voice work, the game should feel pleasantly familiar to fans. Fabled developer PlatinumGames also delivers a fun and rewarding combat system with their signature fast-paced action. With your choice of five Autobots, get in there and battle against the Decepticons and Insecticons to save earth from Megatron’s evil plans. PlayStation®Plus membership includes free games and online multiplayer on PS4™ systems. 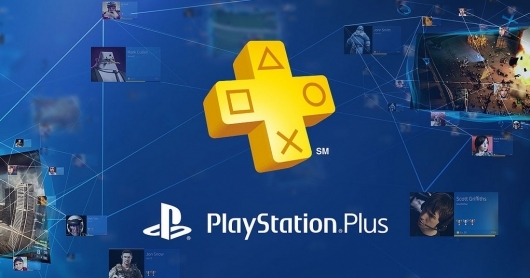 * In October, PS Plus membership includes Resident Evil and Transformers: Devastation.